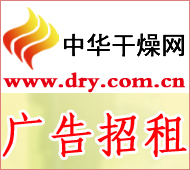 China Drying Network News recently learned from the Titanium Dioxide Industry Branch of the China Coating Association that after years of rapid development, the annual production capacity of titanium dioxide in China has reached 2.85 million tons, and the overall industry level and competitiveness have significantly improved. According to Xie Xiangyun, chairman of the Titanium Dioxide Industry Branch of the China Coatings Association, the development of the titanium dioxide industry used to be characterized by speed, production capacity concentration, product homogeneity and resistance to market risks. Therefore, in recent years, domestic titanium dioxide enterprises have independently developed, introduced, digested, and absorbed new innovations. The products have been greatly improved in terms of structure, quality, and use, and special and special anatase titanium dioxide products have been continuously developed. And mass production, multi-brand, multi-functional rutile titanium dioxide products have come out one after another, filling the domestic blank. At present, China's sulfuric acid-based rutile titanium dioxide production capacity accounted for more than 70% of the total, is expected to further increase to 79.4% in 2015. A large number of new processes, new technologies, and new equipment have been widely used. As a whole, China's titanium dioxide industry has improved its production technology and equipment levels. Product quality has been greatly improved, resource utilization efficiency is higher, the environment is more friendly, and economic efficiency is even greater. To be significant. In particular, the new titanium dioxide plant has advanced technology and the equipment used is more efficient and larger, which greatly narrows the gap with foreign countries. At the same time, the international competitiveness of titanium dioxide products in China has further increased. The gap between quality and quantity and the world's advanced level has been significantly reduced in some domestic large-scale backbone enterprises. Some high-end products can replace imports. In 2011, China became a net exporter of titanium dioxide for the first time, with a total export volume of 398,000 tons. Since the beginning of this year, the titanium dioxide industry has exhibited high growth, low growth and gradual steady growth. The specific performance is as follows: In the first quarter, the trend has been declining since the second quarter. After the third quarter, it has stabilized and continues to this day. It is expected that the market will be in a basic equilibrium early next year, but titanium The staged and structural oversupply situation of white powder products has not yet been fundamentally improved. Xie Xiangyun pointed out that the future development of the industry must pay more attention to quality and efficiency, and further enhance market competitiveness.